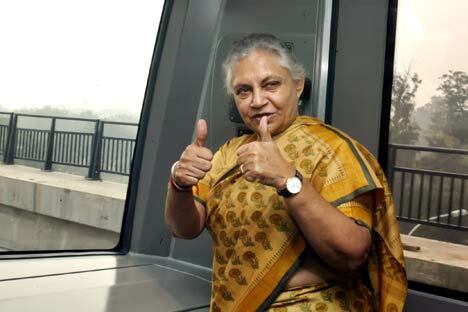 Sheila Dikshit, Delhi’s Chief Minister and Sergei Cheremin, head of the Moscow City Government Foreign Economic and International Relations Department discussed future of two world's major cities. Cheremin shares their ideas and plans. The Moscow City Government and the Legislative Assembly of the National Capital Territory of Delhi have approved a Cooperation Program for 2012-2014, and are planning to sign it during the Days of Moscow in Delhi in April-May 2012, according to Sergei Cheremin, head of the Moscow City Government Foreign Economic and International Relations Department. According to Cheremin, “Top-priority cooperation projects and joint efforts in the program will involve spheres like economic and trade policy, housing and utilities infrastructure, architecture and real estate development, traffic management, the Safe City program, healthcare, education, culture and tourism." “The parties exchange delegations and groups of specialists on the assumption that the purpose of meetings on any particular subject is to establish direct contacts between respective city institutions in Moscow and Delhi, and that potential partners are interested in further developing contacts independently on a mutually beneficial basis,” the official added. Among other things, the two countries will continue the practice of holding the Days of Moscow in Delhi and Days of Delhi in Moscow in 2012-2014. “The events will include exhibitions, concerts, and feature and documentary films from both countries,” Sergey Cheremin explained. In addition, various joint events have also been planned in other areas.